“It’s always been my nature to listen and if it feels right, I’ll do what’s being asked of me. What life experience has taught me is that the Lord gives that insight…this alone has helped make my decisions much easier to accept,” explains Sister Ann Bailey. “A long time ago, God decided what he wanted for little old me - Charlotte Ann Bailey - and I have no regrets in letting him have his way,” she said. Born on April 3, 1921, in Springfield, IL, to Austin and Hazel (Owen) Bailey, she describes herself as a typical kid. When she was nine, they moved to Decatur, IL, where she finished grade school and high school. “My parents wanted me to go to college, and my mother and I drove to Springfield and inquired at St. John’s Hospital what it would take for me to become a bacteriologist. We saw the lab and x-ray, and I was really enthralled with all the equipment,” she said. “I decided to enroll at Milliken University, Decatur, with a major in science,” she explained. However, something about the visit to St. John’s remained with Charlotte, and after two years, she transferred to St. John’s School of Radiologic Technology. “As a young child, my parents were members of the Presbyterian Church and when we moved to Decatur, we joined Grace Methodist Church. Needless to say, my parents said to me ‘be careful to not be converted in becoming Catholic at St. John's School',” she said. After completing her studies, she worked at St. John’s as a registered x-ray technologist. It was during that time that she began to visit St. Peter and Paul Church, near St. John’s Hospital, at 426 North 6th Street. “Something about the Catholic religion intrigued me, and I took instructions. I felt God was inviting me, and I listened. It was a very difficult time because I lost contact with my parents as they were very disappointed in my decision. They were further insulted when I entered religious life on February 2, 1945. I always found strength from God, and although it took years to be reconciled with my parents, I never lost faith,” she explained. “Life isn’t ever easy, but we’re never alone in the journey,” she said. A graduate of St. John’s School of Radiologic and Medical Technology, she also holds a Bachelor’s degree in Radiologic Technology from St. Louis University and an MBA in Healthcare Administration from Xavier University, Cincinnati, OH. She has served in the x-ray departments at St. Nicholas Hospital, Sheboygan, and St. John’s Hospital, Springfield. In addition, she served in administration at St. John’s (Springfield, IL), St. Francis (Litchfield, IL), Washington, MO, St. Mary’s, Decatur, and St. Anthony’s Memorial (Effingham, IL). From 1975-83, Sister Ann served as the First VP of the interim Board of Directors while the Sisters reorganized and developed the System. She remained as President of the 12 hospitals when HSHS was formed. 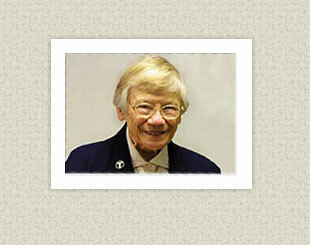 At the Motherhouse, she has served as the Administrator and Archivist. “In addition, in her previous role, Sister Ann was familiar to seeing the completed budgets of the hospitals. Our first budget process together was indeed a learning experience for both…and we both survived. She had a better understanding of the detail work that goes into the budget, and I learned a life-long lesson: anything was eligible to be questioned,” Dave added. “As I look back on this time, now 25 plus years later, I believe I learned considerably more from her than she did from me. Her example enhanced my understanding of what it means to be a Franciscan. However, it makes me smile today when I visit with her and she still calls me her numbers guy,” Dave said. “God is still deciding what he wants for me,” Sister Ann said. “I remain faithful and that’s all really anyone can do in life. Somehow things all work out - just be open to listening to what God is saying," she concluded.